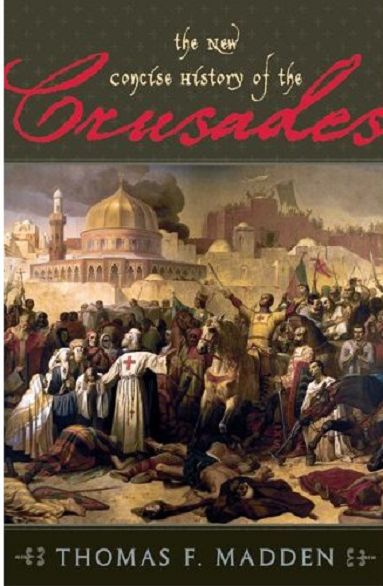 A truly excellent and exhaustive review 🙂 I really disliked the book just from the title, as if such a sweeping event at the Crusades could be stuffed into a concise history. One should also note that Salah al-Din’s mercy and compassion was influenced by his Sufi teachers as well as the stellar example of the mercy and compassion of the Prophet (pbuh). And Kingdom of Heaven is one of my favorite films, just for the beauty of the cinematography, every frame is lovely once they arrive in Jerusalem, as well as the mostly accurate retelling of the events. I suppose the author’s idea of “chivalry” means murdering people and stealing land. HA! Very informative – happy to see you posting again because you have so much to share with everyone. Hope all is well. The great story of Salah-Al-Din brings to mind the story of another great African King, old Hannibal, from Carthage, who having once had Rome at its feet – prepared to be pillaged, sacked and looted – chose to forego onwards with such plans and instead chose to negotiate. He was hated by his own generals for not sacking Rome, but he contributes to a perspective of the African Kings as being more compassionate than their Western Counterparts. After Hannibal was hunted down by Roman assassins he chose to kill himself rather than be captured, and Carthage and the vestiges of the Phoenician world were eventually destroyed by Rome, forever more gone. However, the vestiges of Salah-al-Din work on Earth did not disappear completely, as in Hannibal’s case, but remained. I believe that memory is still alive in the Arabic community. The last great king of Arabia. Bravo! That is quite some analysis of that period of the Crusades and Salah-al-Din’s character. I’m a great admirer of the Sultan. He might not be a ‘saint’ but he was certainly one of the kindest leaders I’ve encountered while studying history.